A reliable source for Agitating Parts Washers information and a resource for accessing leading Agitating Parts Washers and suppliers. 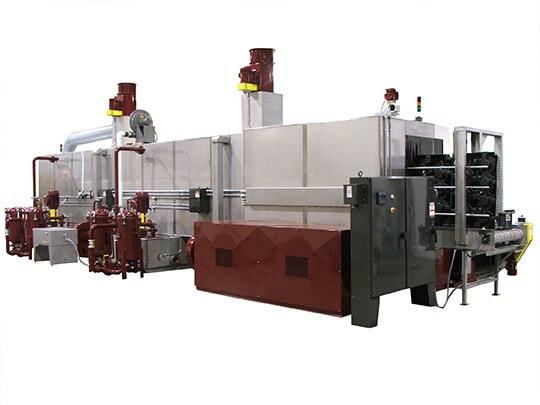 Agitating Parts Washers Agitating parts washers are immersion cleaning systems that submerge parts in an aqueous solution and use mechanical energy to create a vibrating and mixing action that cleanses their surfaces. Chips, oil, coolant, dirt and grease, among other substances, are effectively removed from parts by means of the agitating parts washer, which moves them up and down and sometimes in and out of the cleaning solution to increase cavitation effectiveness and reduce cleaning time. Parts for the manufacturing, automotive, electronics, aerospace and medical industries all use agitating parts washers because they effectively clean grime from hard to reach areas without using any sort of equipment that comes in contact with the parts that could scratch or damage their surface. Agitating Parts Washers - Alliance Manufacturing, Inc. The motion from the propellers is accompanied by high pressure spray blasts of water for parts that contain blind holes and intricate passages. Agitating parts washers are alternatives to spray washers and rotary washers. 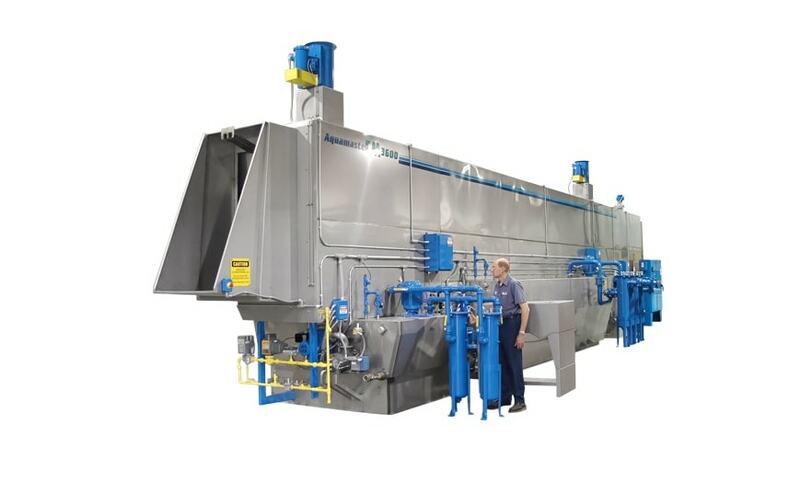 Since agitating parts washers fully immerse the parts in an aqueous cleaning solution, they usually have large holding tanks, especially when they are designed to clean large objects. Their casing is made of steel or stainless steel and some models are equipped with a dryer system powered by gas, electricity or steam heat. They may be manual, semi-automated or fully automated machines with adjustable settings for agitation, speed, cycle time and water temperature. Agitation washers are powered by air cylinders and high pressure pumps. More energy used per wash means faster cleaning time. They are sometimes combined with ultrasonic technology to increase mechanical energy for complex shapes with hard to clean surfaces. Most agitating parts washers are loaded in batches at the top of the machine, which has a removable lid. To prevent splashing, there are separate speed controls on the initial descent into the solution. The paddles create an oscillating effect, which can be increased by adjusting the stroke speed. For best results, both the parts and solution should be agitated simultaneously.